You have just found your dream house, and would like to buy it. What do you do now? When dealing with real estate matters, the law is clear: everything has to be in writing. Thus, you will need a sales contract, which will spell out all of the terms, conditions and special requirements which you may need in order to conclude the transaction and go to closing (settlement) on the house. 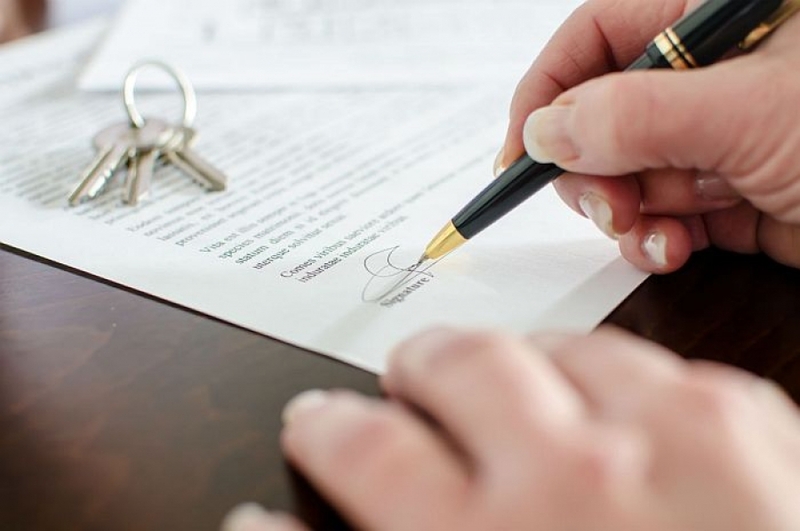 If there is no real estate agent involved, your attorney should be able to assist you in preparing the contract offer. If there is a real estate agent, you can get a form sales contract from the agent. In fact, the agent should be able to assist you in preparing the document for presentation to the seller, although your attorney should review it before you sign. 3. The contract offer will be countered, with different terms. It is rare that the seller will opt for alternatives one or two; in most cases, the potential buyer will receive a counter-offer. Then, the buyer has the same three alternatives. There are certain things which must be included in any sales contract. 1. The property must be clearly identified, preferably by street address. 2. The contract must be contingent upon your obtaining financing. You should allow yourself some time — usually 30-45 days — in which to make application from a mortgage lender and get a written commitment that you have been approved for the loan. 3. Unless you are an experienced contractor, it is advisable you make the contract contingent on your obtaining a satisfactory home inspection. You should give yourself 5-7 days after the contract is signed to have the property inspected. If you are not satisfied for any reason after you receive a written report from the inspector, you should have the right to terminate the contract, and get back your earnest money deposit. Although another option is to give the seller three days to let you know if any or all of your issues will be corrected. 4. How much earnest money should you put up when you sign the sales contract? There is no magic formula and no law dictating a certain percentage of the purchase price. When you sign a contract, in order to make it a valid, legal document, the buyer should put up some money as a good faith earnest money deposit. These funds will be held by the real estate broker or the settlement attorney until settlement takes or until either the buyer is entitled to a return of the deposit (because the contingencies cannot be met) or the buyer is in breach of the contract, in which case the moneys would go to the seller. Real estate agents and brokers usually ask that the buyer put up 10 percent of the purchase price as this earnest money deposit. However, buyers can put up more or less, so long as the seller agrees with the amount. Indeed, in many real estate contracts, the earnest money deposit consists only of a promissory note signed by the buyer, to be redeemed at the settlement itself. Buyers should understand that although everything in real estate is negotiable, the earnest money should be large enough to convince the seller that you are seriously interested in going forward with the purchase. I usually recommend this deposit be approximately five percent of the purchase price. 5. Finally, the contract should be contingent upon the buyer obtaining — no later than the date of settlement — a “termite” letter. This is a report from a licensed pest inspection company indicating that the house is free and clear of termites and other wood-boring infestation. Some contracts require the seller to obtain and pay for this report; other contracts put the burden on the purchaser. Either way, this is a critical report which all buyers should receive — and carefully review — before settlement is completed. Many of these contingencies are time-sensitive. You — as buyer — have so many days in which to get financing and so many days in which to complete the home inspection. Mark your calendar with these due dates, and make sure you act on these contingencies before the time has expired. Otherwise, it will be too late and you will be legally bound to comply with the terms of the contract, and proceed to settlement.